To realize the full potential of your system you need to provide the best possible environment for it to sing. Unfortunately, the modern domestic environment is awash with noise that has a serious effect on the performance. By helping to control and minimize this noise you can begin to unlock the true musical potential of your system. The main areas of focus for ECG (energy control grounding) systems are EMI/ RFI and electrostatic energy control. The Sage works on a number of different levels, by channelling this noise away from the system and its ground plain you can ensure the best possible environment for your system to perform in. We do this by carefully balancing materials with different properties of conductivity, dissipation and absorption so we are best able to control and minimize these forces, isolating and removing them from all areas of the system. For maximum effect our energy management systems should be used with our cables as they have been designed to work in synergy, but, they will be very effective in any system. 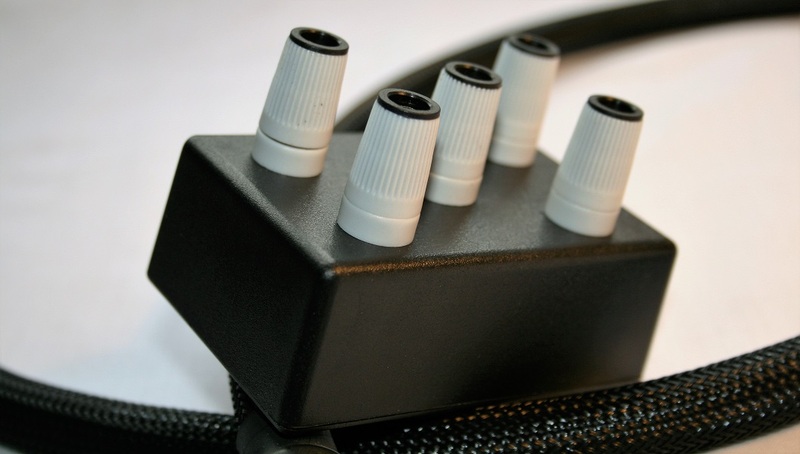 The Sage is fitted with 4 binding posts to connect to your system and a centrally located output post to connect the system to ground. This can either be to a copper heating pipe, external grounding rod or via an isolated grounding plug. Different types of energy will be removed or dissipated at varying rates. Some will be immediate, some over a number of days so you will experience the performance gains over an extended period of time. Control the noise and let your system reach its full potential. The sage is not a replacement for your system safety earth and should not be connected to this. When we are talking about energy control and grounding we are not referring to your main system ground /safety earth which should never be changed, modified or bypassed. We are purely dealing with the management of parasitic noise and ways to minimize this.